Precision Standing Desk allows maximum adjustability for your most comfortable standing work position. Gas assist height adjustment allows you to move smoothly and quietly between sitting and standing positions in seconds. Continuous settings allow you to easily adjust with levers on the side to any point within 13-4/5" height-adjustment range from 6-1/5" to 20". With an easy-to-use knob, the keyboard surface offers tilt adjustment range of negative/positive 10 degrees to help achieve the most comfortable typing position. 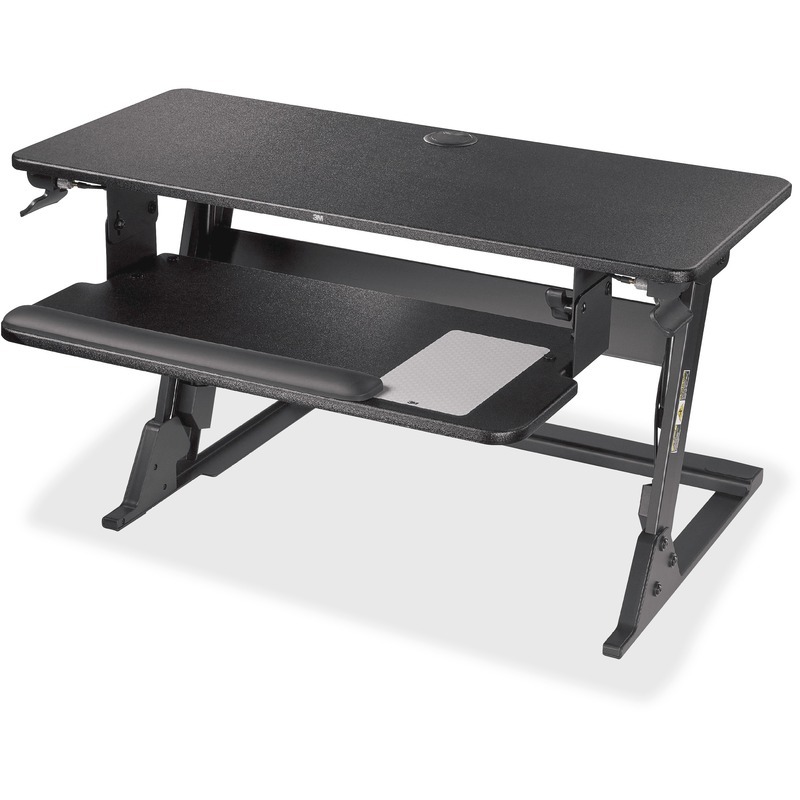 Compact footprint that easily fits onto a 24" deep desk. Primary worksurface is large enough to fit two 24" monitors and keep tools within arm's reach. It supports up to 35 lb. Desk includes 3M Gel Wrist Rest for your keyboard and Precise Mouse Pad for use on the lower level for added comfort and productivity. Precise surface enhances the precision of optical mice at fast speeds. Desk is made with a steel frame and medium-density fiberboard. 519 points will be rewarded to you when you buy this item.